Right before the border to Wales, is the English city of Gloucester, where amongst other things they perform the strange practice of “cheese rolling”. However maybe we don’t care about cheese at all. When Car Nerds hear the name Gloucester, the alarm bell rings. 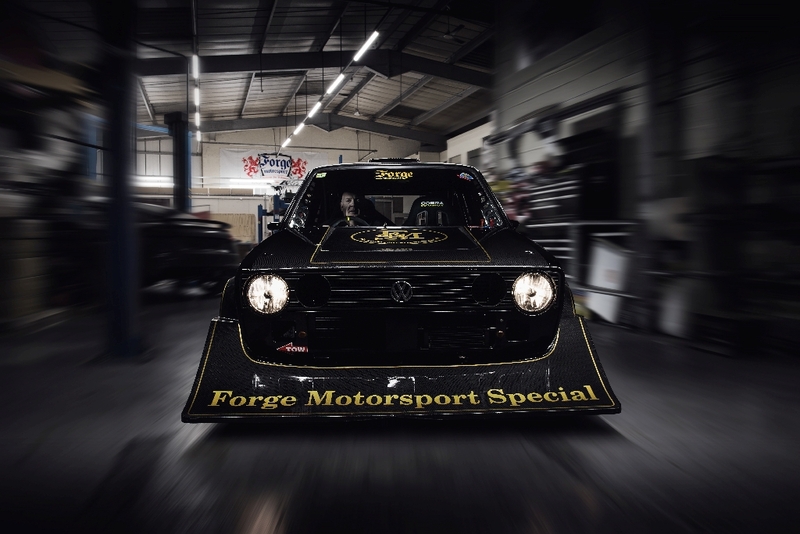 This city is home to Forge Motorsport, one of England’s and possibly the world’s largest “performance aftermarket manufacturers” and this famous British company have built an Über-Golf! Without doubt, this Golf just puts a smile on your face. 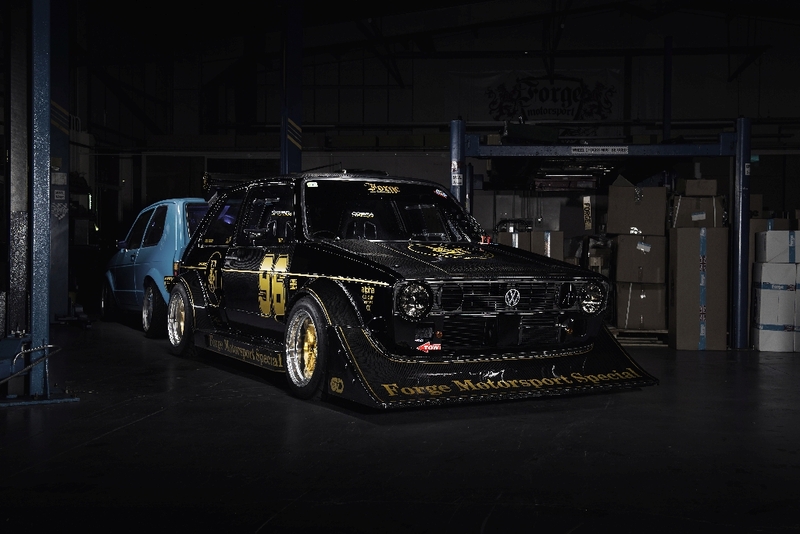 Finally, a VW Golf Mk 1 that features a real sports program. 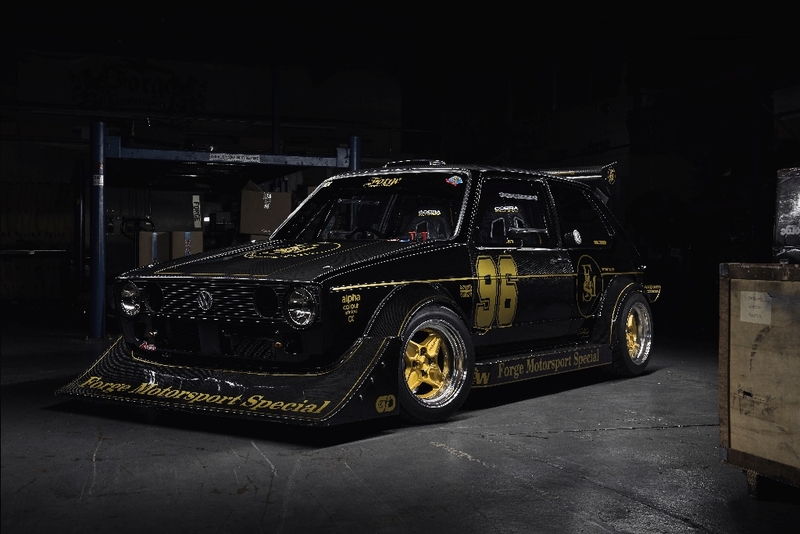 Designed and built to pay homage to the famous German Berg Cup race cars, and what a build this is. This VW is the real deal. This GTI has been built without compromise, to allow it to give everything and perform flat out on the race track – it’s a driving machine, a real driving machine and what’s more it’s also road legal!! For some purists it is actually sacrilege to install a 1.8T in a Golf Mk 1, but the end justifies the means. Many performance-oriented Golf 1 enthusiasts have been converting to the 1.8T-20V since years. After all, the 20V is one of the toughest and most powerful four-cylinder engines of the VAG engine range. But before the AGU block moved into the Golf 1, the 150 hp engine was dismantled into its individual parts and afterwards rebuilt. 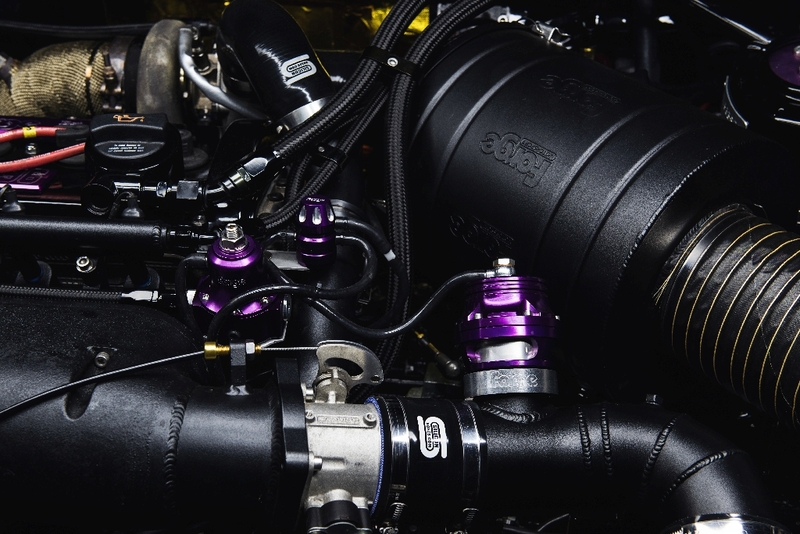 All this is topped with a Nortech intake manifold, Jenvey 70 mm throttle valve and the Owen Developments GBT-5465-HTA Turbo. 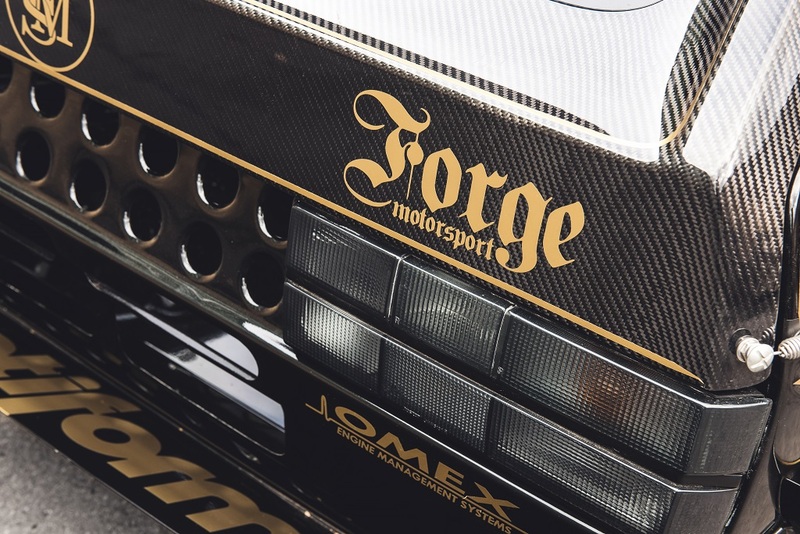 Obviously, a lot of expertise came into the engine conversion and hardware from Forge Motorsport, such as the intercooler, the exhaust system that is mounted from the turbocharger, or the airbox. 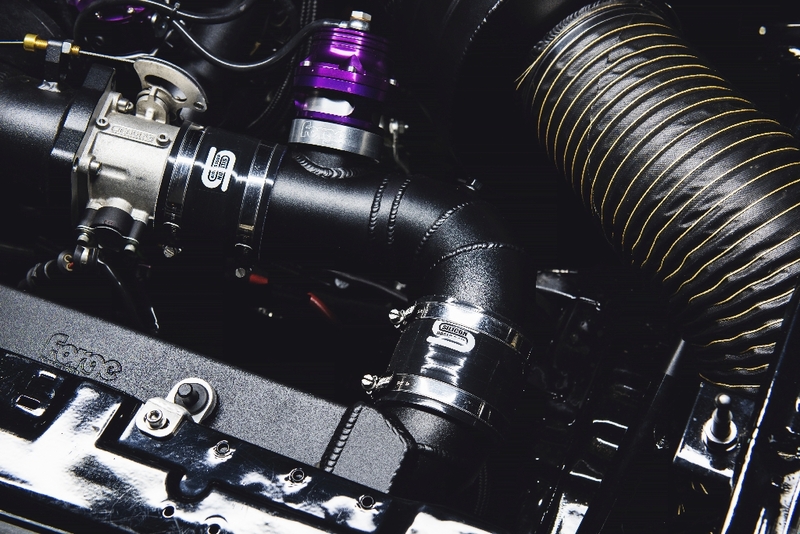 The English Performance Gentlemen from Forge built also the oil cooler, catchtank and the water-cooled, external wastegate. Yes, the Brits are still some of the few in the industry who manufacture a lot of their hardware themselves. 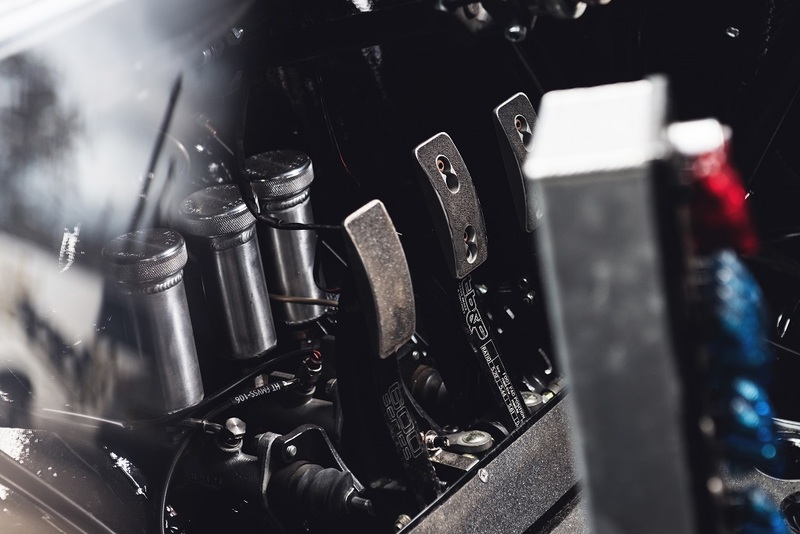 The mentioned components are actually only a small part of the whole engine modifications, which of course not only are nice to look at, but also provide a lot power. The Golf, is stripped down with a fairly comprehensive carbon fiber diet, looks almost as fast as it actually is. 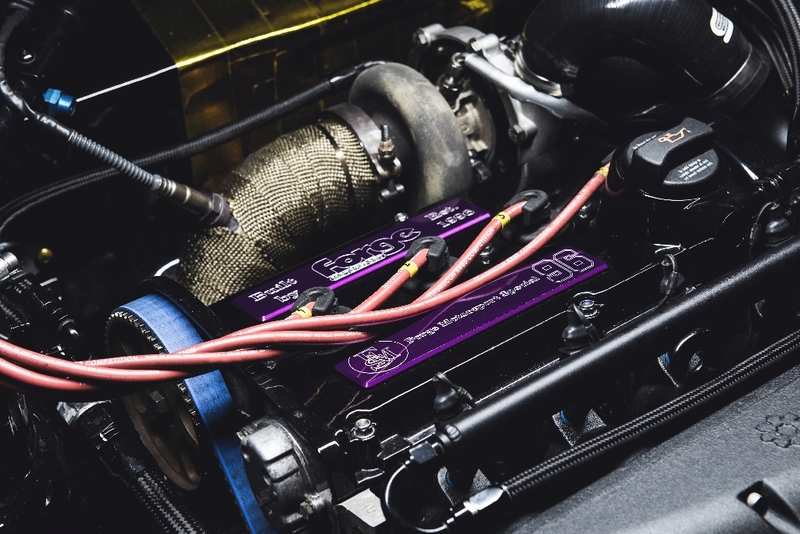 Its highly tuned engine provides depending on the boost pressure between 450 hp and 500 hp. 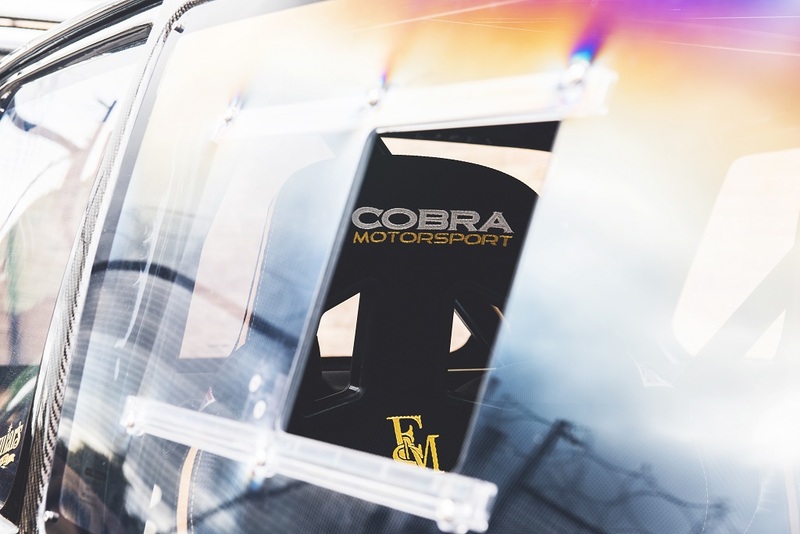 “At the moment, however, we decided to throttle the boost and cruise with 350 hp”, says Peter Miles of Forge Motorsport. “Enough for the Golf 1.” I quite believe it. The limited slip differential from Wavetrac delivers the power to the road. And for the handling and suspension? 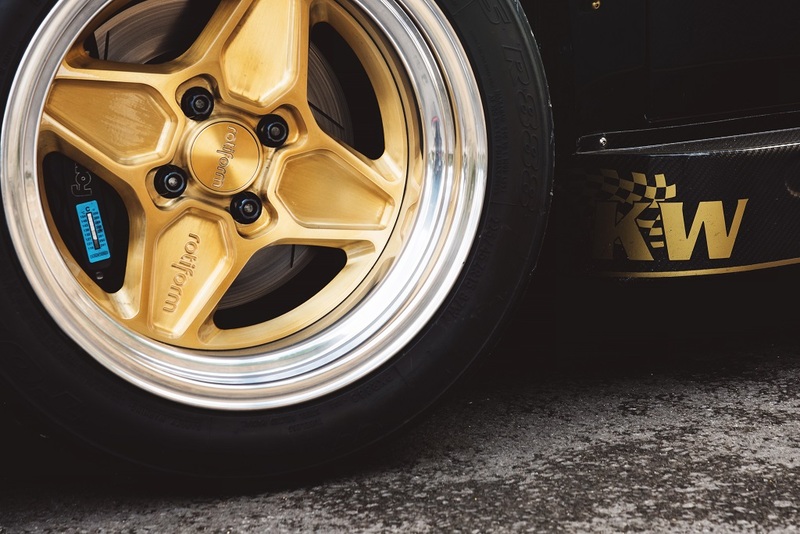 That makes this car feel like its driving on rails, well of course the British chose a KW Competition 2A racing suspension in a design for hill climbing. Similar to a KW coilover suspension V3, also here the compression and rebound damping stages can be adjusted independently. 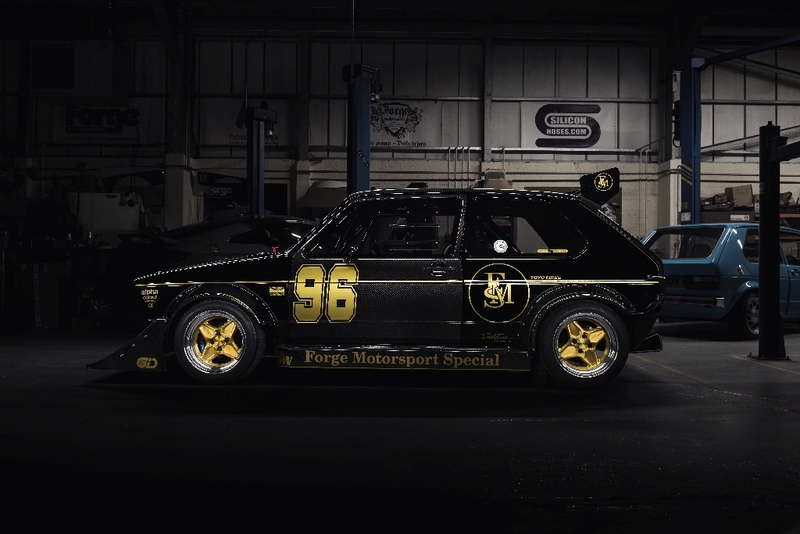 The black and gold livery is of course based on the legendary John Player Special Formula 1 Lotus from the seventies. 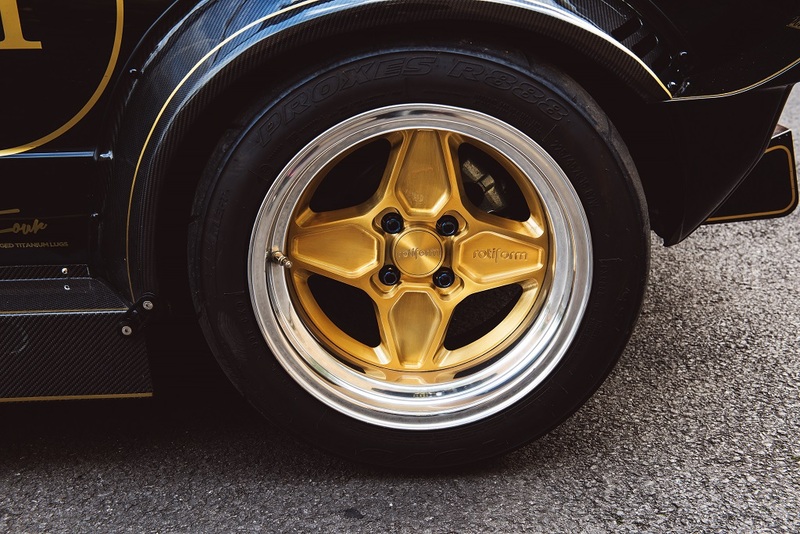 The doors are not covered with carbon effect, but following the dictates of lightweight construction, of course, they are made of a Kevlar carbon fiber. But now, let´s get out into the fresh air with the only 740 kilogram lightweight Golf, which is basically an evolution of the “Hill climb Golf” presented at the “Autosport International 2012”. 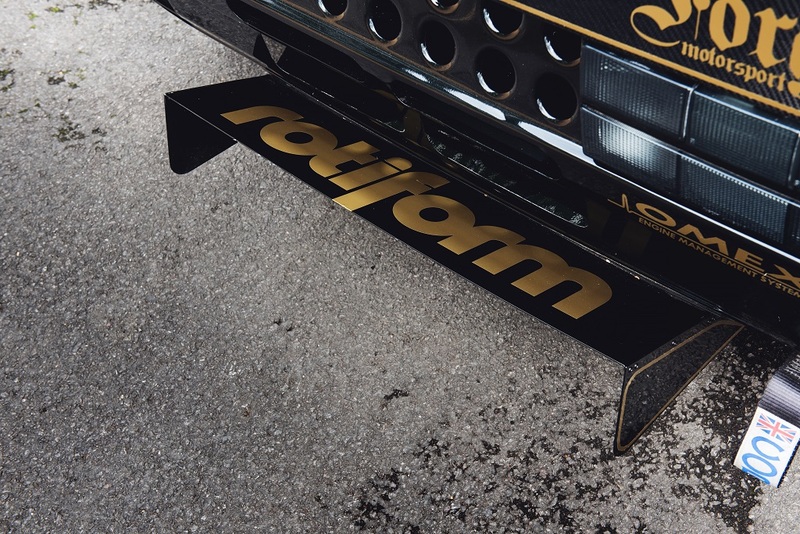 The front bumper, fender flares and side skirts are based on HR Engineering motorsport parts, which the British have re-engineered from carbon fiber. Also, the diffuser and the entire tailgate are made of carbon; as well as the roof with scoop, rear wing and the outside mirrors. 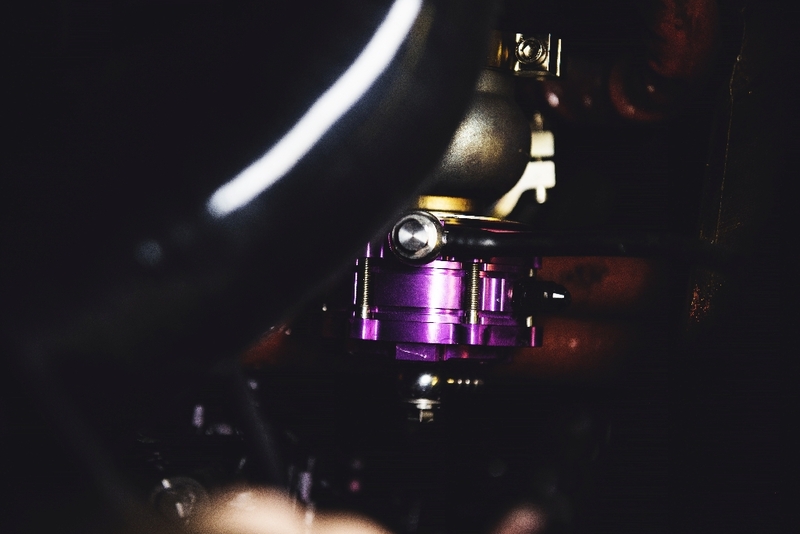 All this tuning is done with heart and especially with a good sense of performance knowledge. 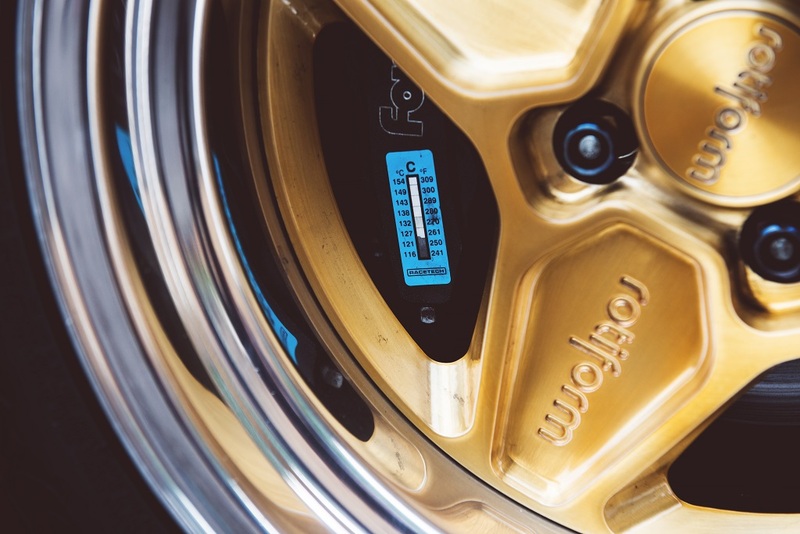 But also, a bit of “Show & Shine” was needed with the custom Rotiform rims in three-piece GTB with a polished outer lip finished in “Tequila Sunset” measuring 15” x 9” inches and the rubber that’s sticks it to the track is from Toyo Proxes R888 in 225/45. The brakes on the front axle are a Forge six-piston system with 280 mm discs. On the rear axle, the British have mounted a Golf Mk 2 brake with Tarox discs and pads. The Racetech thermometer sticker on the front calipers made me to smile; but the thermo test strip actually has a right to be on the “Hill climb Golf”. 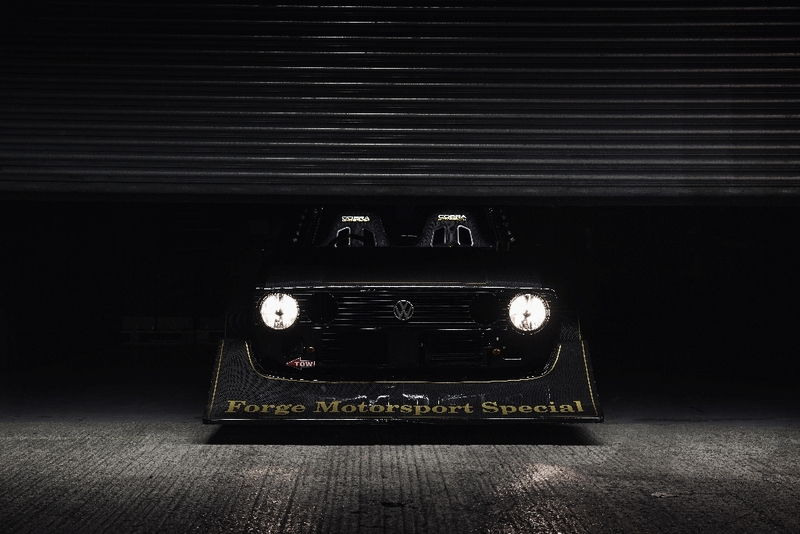 Then I take a look through the Markolon windows into the interior of the Forge Motorsport Golf and beg Peter to let me take a little joyride with the VW,“ Unfortunately not today ” Peter Miles grins. “We know about your driving style and your penalty points.” Just great, how colleagues cannot keep a secret! 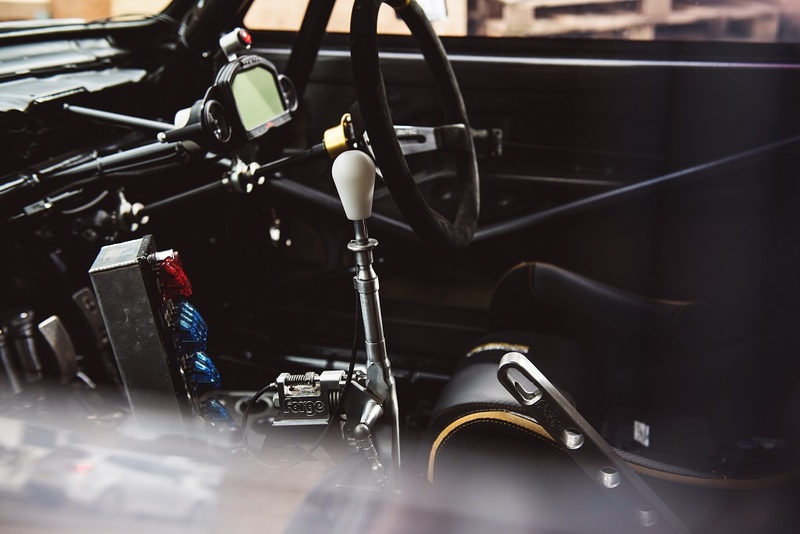 Forge has equipped the six-speed manual transmission (VW O2M) with a G60 flywheel and a Sachs clutch. 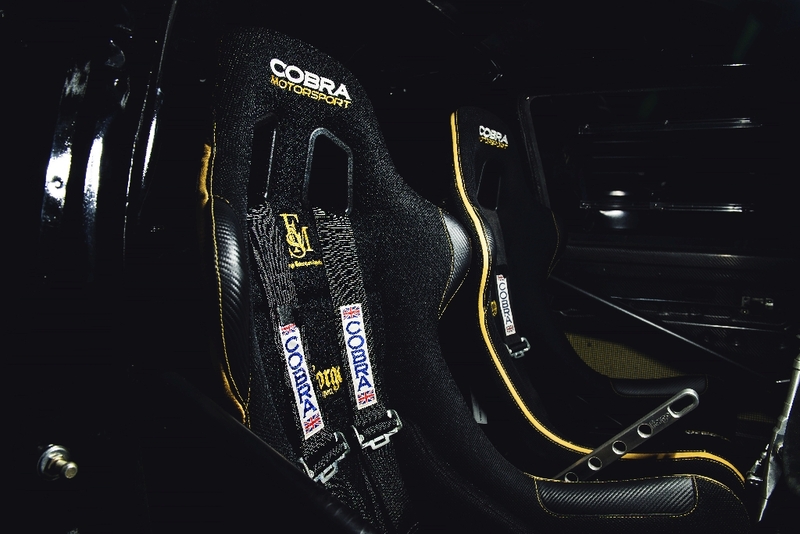 Shifting is via a Forge Motorsport shift gate and also the lever of the hydraulic handbrake is custom-made. Since I was not able to drive the Golf the other day, Peter sent me a 360°-onboard-video. Recently, the Golf had its first run on the “Castle Combe Race Circuit”. Well, since it started to rain again, the shoot had to be continued in the halls once again. The emptied interior has of course been designed for pure racing a safety roll cage including side bars from “Custom Cages” was welded in. The speedometer is from Race Technology and on the sides, further instruments were added.